10 Minute walk from Williamstown Train Station. 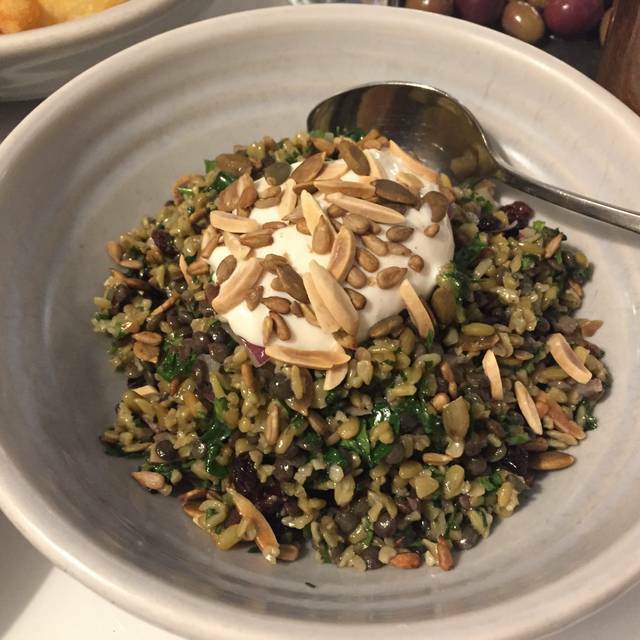 Introducing Melbourne’s first ‘Gastro-Greek’ pub! Located on the site of the former Hobson's Bay Hotel, one of the West’s most iconic pub buildings, Hellenic Hotel will offer a twist on the classic gastro pub. 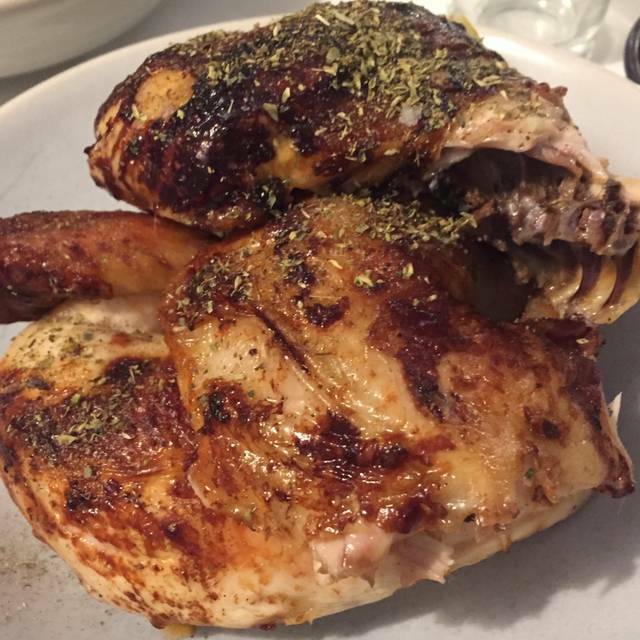 Open from 12 noon, seven days a week, the menu is designed to share with an emphasis on our signature Hellenic Hotel rotisserie chicken. On the beverage scene, Hellenic Hotel boasts a unique selection of Greek wines amongst local beers and signature cocktails. Lovely venue for a special occasion. A bit pricey for a regular evening meal out. Staff were welcoming & friendly. The lamb was melt in the mouth - would recommend! Our waiter Harry was awesome! His service was spot on. Loved that we got to buy a pack of the grain salad to take home! Delicious. The lamb moussaka is absolutely scrumptious. Third visit and Hellenic never disappoints. Well done guys. The staff were amazing; the food was enlightening and the whole experience made our anniversary dinner one never to be forgotten. Service provided by all staff, on the night, was very welcoming right from the introduction through to the completion of the evening. The food was excellent, and as good as we had experienced on previous occasions. Drink selection was good and staff were always looking to provide service without being intrusive or pushing. Very enjoyable evening. Fantastic location, really lovely genuine staff, amazing food for this price point! Service and food were outstanding. Music was a little loud and all 6guest struggled to hear wait staff. But staff member did adjust volume once something was mentioned. Great experience! A great place to share the standard Greek dishes with family or friends. Very reasonable value and good service. However I would always prefer soft drinks from the bottle/can rather than the postmix stuff we were given. I called at 8pm on a Wednesday evening to make a booking for two days later. My call was answered by an automated answering system which advised me that the booking office was closed. To book my options where leave a message of book online. I expect if the restaurant is open that my call be take by a human and not an answering machine. Admittedly the next morning I did receive a call from the booking office. Of the three dishes we shared, the zucchini chips and Greek salad were of a good standard but hardly difficult dishes to get right. Our shared main was lamb shoulder and considering the price of the dish ($48), we were very disappointed. The meat was bland, overcooked and appeared to have been kept warm for an extended period of time. 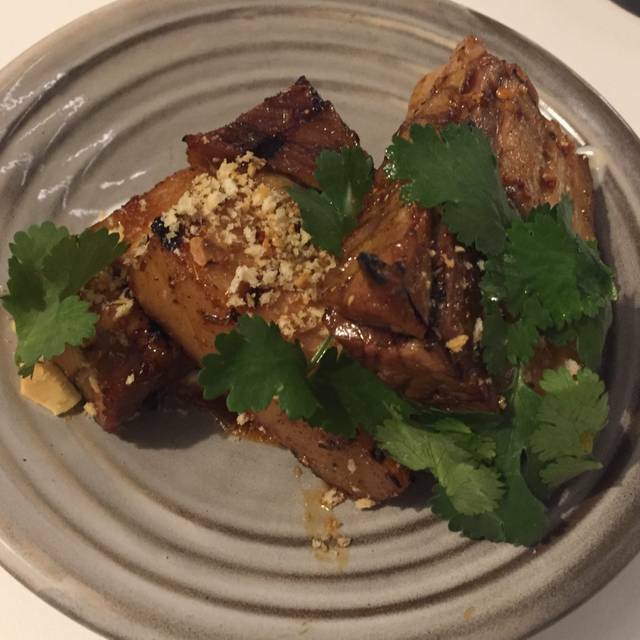 The lamb shoulder was served on a plate without any garnish or sauce. 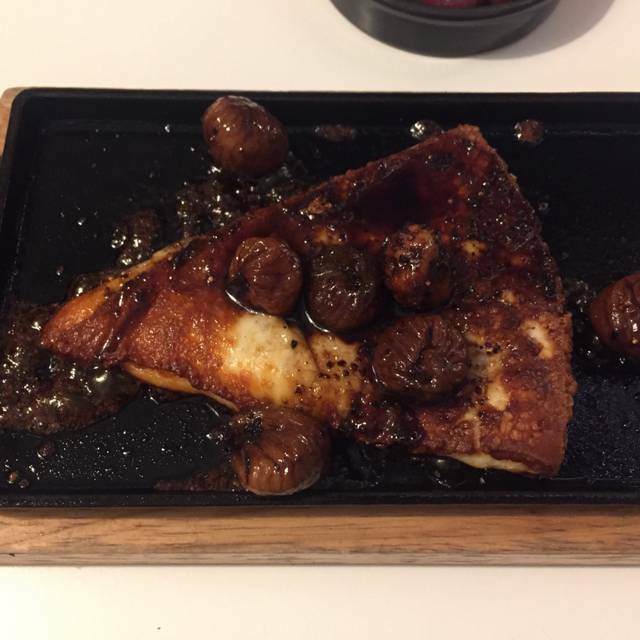 The presentation of the dish certainly didn't reflect the asking price. Sorry George, I won't be dining at your restaurants again! The menu online does not specify paying extra to have lamb instead of chicken when ordering banquet. The menu online does say meat from the spit. It was much better a few years ago with the banquet offering more variety. Food was fantastic, but the service as lacking from the time we walked in and waited to be seated. Our meals came out incomplete and we had to follow up the kitchen. When we were ready to leave we waited for someone to come check our bill and finally had to get up and ask for it from the front. Very disappointing, although the food managed to make up for it. Enjoyed our lunch here - shared zucchini chips, mixed seafood, lamb his and grain salad. All were delicious, especially the ribs. Service was efficient and friendly. Had the pavlova for dessert - a whole small pavlova! It would have been good to have more descriptions for the desserts - the waitress just brought a board and they were just listed. Delicious food, nice atmosphere and lovely staff. Thoroughly enjoyed our experience! We always love going there. Food is great - flavours and preparation impeccable. I have been many times before and loved the restaurant. Unfortunately this time it wasn’t a great experience. The service was slow, we were in the back corner behind a large table and the wait staff kept attending to the large table and forgetting about us. Additionally we ordered dessert and the waiter didn’t give us a full menu, just a board with the names on it and didn’t assist us well or explain what we were ordering so we ordered far too much dessert. Overall it wasn’t a great meal this time. Great service. Excellent starters. Mains were good not great. Great food in a nice relaxed atmosphere, friendly staff. Fantastic every time we go there. Food quality is excellent, service is first class. Not the cheapest place but not over the top either, you you get what you pay for. Would highly recommend. A very pleasant experience - with great food and attentive staff - however I was nearly hoarse from yelling over the noise - not a very relaxing way to enjoy lunch. It was very difficult to have a conversation when one cannot hear what the person across the table was saying. A more quiet and serene environment would be more enjoyable. The food was excellent. The setting is good for most occasions, but it is probably a stretch to get a true intimate ambiance for Valentines Day. While the service was good, the number of tables occupied on the night stretched the abilities of the staff somewhat and that inevitably detracted from the quality of the service! Over all it was a pleasant experience, well worth the effort and money. We had the banquet. Nice selection. Loved the feta chips, rotisserie chicken and grain salad. Can’t believe they charge $5 for still table water - never come across this before so it left us with a bit of a sour taste in our mouth. Food offered was interesting and tasty. For a Wednesday night the restaurant was full, but the downside to that was the noise. It made talking to people across the table a bit difficult. The pavlova was so good. Not too sweet, crunchy on the outside and chewy inside. We were really impressed with the whole experience. The customer service and interaction with staff was a particular highlight. Overall a good first experience we ordered a bunch of different dishes to share. All were yum! Except the ribs.. i think out of the 6 on the plate.. one had some actual meat on it.. the rest was just fat.. not nice at all! Everything else was delicious. The Hellenic hotel always offers great service as the staff are incredibly attentive and take their role very seriously. Food was very good especially the lamb. Service was excellent. This was the second time I’ve been. The first time was fantastic. Both times were in a group and both times were for dinner. I’m unsure if the restaurant has actually dropped in quality and experience or if this was an anomaly. The food was extremely ordinary and the meats all were over-cooked but were also quite tasteless. The waitress was over the top, a little intrusive and rude when questioned about missing items and meals. In fact the waitress was so rude towards the end that it destroyed any chance of liking the experience at all. 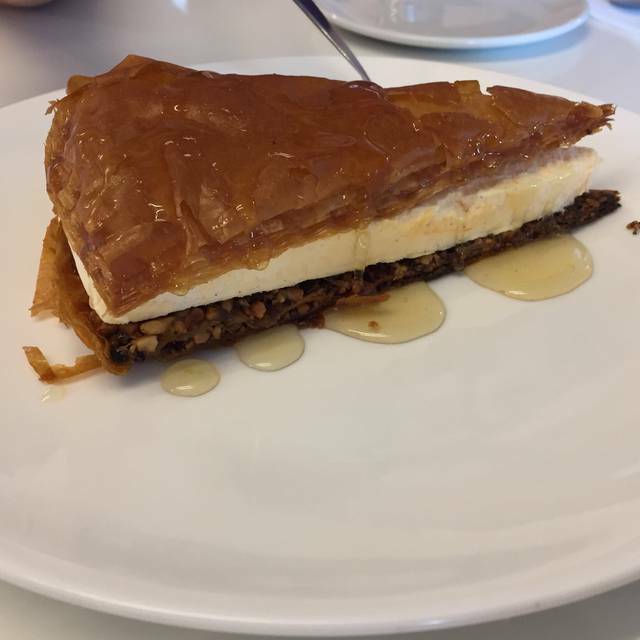 I don’t believe that this is the typical dining experience that you receive at Hellenic and I’ve heard great things about the other restaurants. However even if the food was amazing I still couldn’t recommend as the waitress was unbearable. Awesome service and delicious food. We had oysters with xo sauce, calamari, lamb shoulder, roast chic, feta chips, ancient grain salad, rice pudding and sticky date pudding. They even brought out color pencils and drawings for my 2yo to keep her entertained throughout the dinner! Wonderful food very accepting of children for important family celebrations. Outstanding and reasonably priced children’s platters. Food was very tasty but service was really disappointing. One of our starters was forgotten and when we asked a waitress she didn’t really respond, then it showed up at the very end of our meal. We weren’t offered any drinks after our first order and had to wave someone down to order more. Empty plates sat on the table for a long time waiting to be taken away. We were expecting a lot more from the staff. The vibrant gastro feeling as you walked in was great the service by all was outstanding our main host Moses was first class, the dips were to die for and the traditional Greek Mousaka which is George’s mother’s recipe was probably one of the top meals I’ve ever eaten, my review is mirrored by my wife as well!!! Happy vibe, clean and attractive, great food and excellent wait staff. Been here twice and will definitely go again.